An announcement by UNICEF France is changing the way we think about humanitarian aid. According to the statement, donors are no longer limited to fiat currencies if they want to assist children in need. UNICEF now accepts nine types of cryptocurrency on its website. In the statement, Sébastien Lyon, Executive Director of UNICEF France, said that using cryptocurrencies and blockchain technology for charitable purposes offers a new opportunity to appeal to the generosity of the public. Calling it “an innovation in terms of solidarity and fundraising,” he said that the introduction of cryptocurrency into charity makes the process more democratic. This campaign comes on the heels of two other successful crypto campaigns – it is, in fact, not the first time UNICEF has incorporated cryptocurrencies into delivering aid to those who need it. Last February, UNICEF instituted a global fundraising program called Game Changers, with funds collected for children who are affected by the Syrian war. The project was targeted at computer gamers – those who enjoy mining or are enthusiastic about cryptocurrency and willing to donate computing time for mining and high-end gaming -- and had a special mining software application form from UNICEF’s website. The gaming PCs were used to mine Ethereum and use the proceeds to help the children. It was the first time UNICEF used cryptocurrency donations instead of money. Then, in May, UNICEF Australia launched its own campaign, the HopePage. Page visitors were given the option of donating computing power by allowing their device to be used to process crypto transactions anytime the users were connected to the internet. “The HopePage allows Australians to provide help and hope to vulnerable children by simply opening the page while they are online,” said UNICEF Australia’s Jennifer Tierney. For this project, users voluntarily donated their resources to aid UNICEF – and it didn’t involve fiat currencies. At the moment, 22,000 people are involved in donating and mining cryptocurrencies for UNICEF Australia. 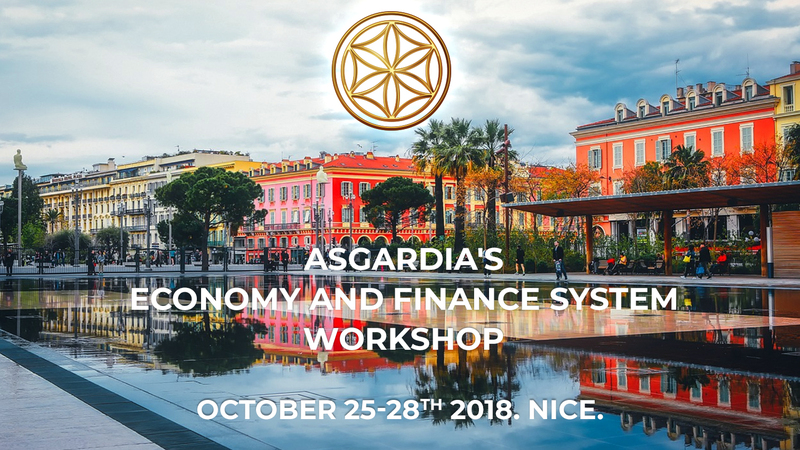 As Asgardia prepares to brainstorm during its Economy and Finance System Workshop in Nice on 25-29 October, the possibility of using the Solar as its cryptocurrency is looking optimistic. Of course, adhering to the democratic process, all participants of the discussion will be given an opportunity to express their thoughts about the possible pathways for the development of Asgardia’s economy and the methods of the formation of its financial system. The basic premise behind the Space Nation’s existence requires an unconventional approach and new solutions – and, as UNICEF’s use of blockchain technologies demonstrates – the use of cryptocurrency might be one such solution.